Do you have a growing manufacturing company that’s ready to take the next step and to install production management software? 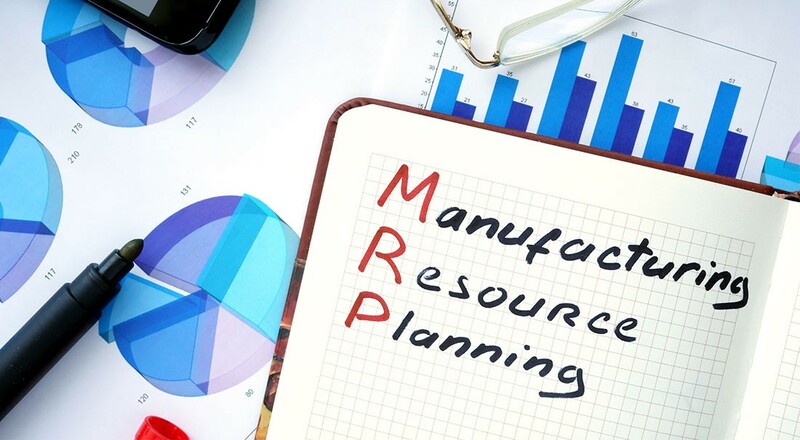 If you’ve been doing your research, you’ll know that there are two main types of software you could potentially use manufacturing resource planning (MRP) and enterprise resource planning (ERP). While ERP seems to be a more comprehensive system, it may not be the best choice. Let’s explore these systems and uncover their differences. Initially created to be a materials management planning system, MRP evolved through the decades and in the 1950s it started using mainframe computers to process information from a bill of materials, with the goal of creating purchasing plans and a production schedule. By the 1980s it became known as manufacturing resources planning and had started using computer technology to combine other areas of the business into the planning process. Today, MRP starts with a schedule for a finished product, and then converts that information into schedules for parts, sub-assemblies and materials needed to produce the product within the schedule. It is an accessible production tool that allows input from multiple departments to supply real-time information. ERP is the new kid on the block. During the 1990s, the capabilities of MRP software was broadened by incorporating new systems into it. It was advertised as a system offering more capabilities than traditional MRP software. ERP would handle the whole enterprise, including human capital management (HCM), human resources (HR), and customer relationship management (CRM). Sounds good, right? Truth is, it’s not that simple. More is not always better. Which one is the best for a growing business? The answer to this depends on what your business is focusing on. If you are focusing on growing your business, your main concern will be centred on optimising processes. This means that a system that manages manufacturing processes like inventory, scheduling and production would be what you need – an MRP system. It does not make sense to pay all that extra money for additional modules, not to mention the costs involved with training and IT support, for these modules. If you delve deeper, you will also start noticing that most ERP systems have limited functionality when it comes to production planning and control – which is exactly what you need. A quality MRP system will give you a clear, real-time picture of where you are at all times, bringing your employees, equipment and data together in one place. Your growing business not only needs quality manufacturing software, but also software that can help optimise your processes. Talk to us about our MRP software solutions.